For the last 3 years or so, we have been providing great educational content on electronics for free through this website. We have hundreds of circuits and theoretical articles on various topics which you can freely use to learn. But “Electronics” is a vast and wide subject and there are plenty of areas that aren’t even touched yet. We get lots of requests from readers in the form of comments and e-mails asking – How can I start learning electronics; Where to begin electronics learning; Which are the good books to learn electronics? etc. It’s a hard question to answer as there are plenty of resources to learn electronics. How ever we thought to list 4 really good books to learn basic electronics. The books are not necessarily in any order – but the first book by Forrest Mims is hand picked 🙂 It’s a really really good book and we recommend it to any one who is interested in Electronics.Â Books are arranged in such a way – Title comes first, then a little briefing about contents of the book, a little about the Author and finally links to different shopping sites are given – where you can purchase the book. Links are given for India, USA and UK only. For other countries, readers can order themselves from a shopping cart of their country. We selected Amazon as the shopping cart vendor for USA and UK. In India we selected Flipkart – as they offer one of the best rates and customer service. Note: Some books are not available in all countries. Please bear with this! Sold more than 1.3 million copies so far, this is the single best seller in technical publishing, that outshines many popular novels!Â Known popularly as “Engineers Notebook” – this book is printed in the “hand written” format. It has 100+ basic circuits which are tested more than 3 times (to eliminate all possible errors) by the author himself. This book also explains all basic components in analog and digital electronics along with their functions and uses. You can learn how these components work and how they fit into various circuit applications. “Learn while you make” – that’s the best one liner for this book. This is a great book where you can practice first and learn while you make the circuit. A totally different approach given to electronics self-teaching. The book encourages you to thinkÂ – “Why it is so” ?. In one of the first experiments author asks reader to touch battery leads with tongue – what a fun way to begin learning electronics. The problem with most books on “basic electronics” is they all teach mathematical circuit analysis first! – which is not appealing to the beginner 😉 As a starter in electronics one should wet his/her hands first at experimenting. This kind of trial and error experimenting develops curiosity. To solve curiosity one starts asking – “Why it happens so”. This is the point where you should start learning theory. When you start learning theory after experimenting with stuff – you will understand theory efficiently and faster. So this book is really great to get your hands wet! Highly recommended. 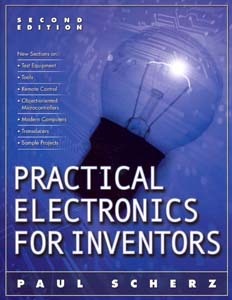 Note:- Â ProTechTrader -Â a company which specializes in electronics component trading in USA has released a pretty useful ‘Component Kit‘ based on this book – Make Electronics – Learning by Discovery (2nd Edition). We have reviewed this Component Kit from ProTechTrader in detail. This kit is pretty useful for any beginner in electronics and can accelerate your learning curve by many folds. Charles Platt – is a first generation electronics author of the 70’s and 80’s. He is now a contributing editor of the world famous Make Magazine. He as written popular science fiction novels like -The silicon man. In addition he is also a first generation computer programmer. “Understand the underlying theory” – A great book to learn theory! Key components of electronics like Transistors,IC’s – get a really good understanding of them. In fact this book is the third edition. Harry Kybett wrote the first two editions (first published 30 years ago) and after his demise, Earl Boysen wrote the latest third edition. Harry Kybett was director of engineering at Columbia Pictures. 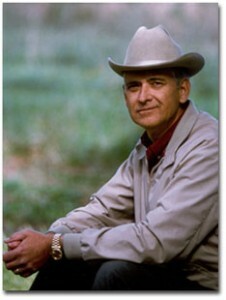 Earl Boysen is an engineer and co author of the popular “Electronics for Dummies” book. 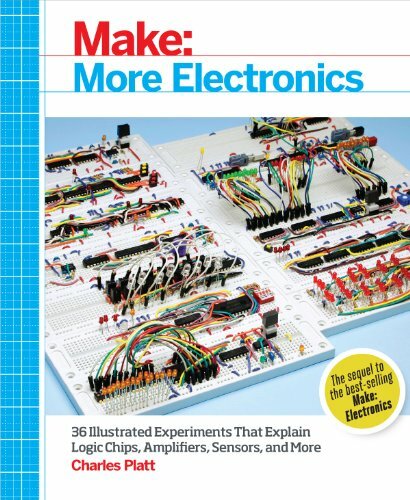 You may ask why I need a 4th book to learn basic electronics? Haven’t I learned as much basics by reading the above 3 books. In a way – yes! By the time you finish the 3rd book (i.e Book #3) – you will have a thorough understanding of basic electronic concepts. You may then ask – Why you are adding a 4th book then? I have some reasons for that! 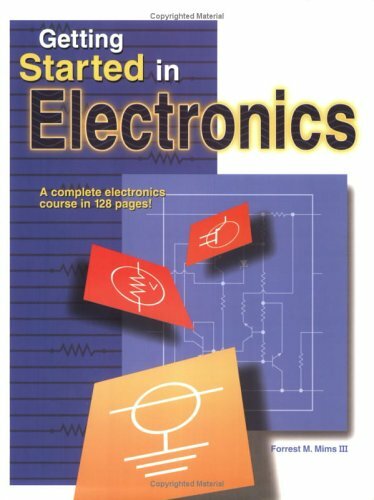 The first two books – Getting started in Electronics by Forrest Mims and Make Electronics by Charles Platt focused on “experimenting” with basic electronic circuits. They didn’t focus much on theory – the physics and mathematics that underlies any circuit application! 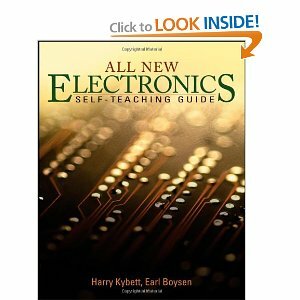 Hence came the need to understand sound theory behind electronics and I suggested “All New Electronics” by Harry Kybett. Though this book explains theory well, it failed to connect these theories with real life applications. You learn the theory behind tank circuit and you fail to understand how it is applied in real life – how fuzzy is that? And that is the single best reason to buy this book by Paul Scherz – Practical Electronics for Inventors bridges this gap. It is a book that connects theory with real life.Â The highlight of this book is 750+ hand drawn illustrations that will help you turn theoretical ideas to real life inventions. Finally this is the only book on basic electronics that gives a really good introduction to the next stepÂ – the micro controllers! 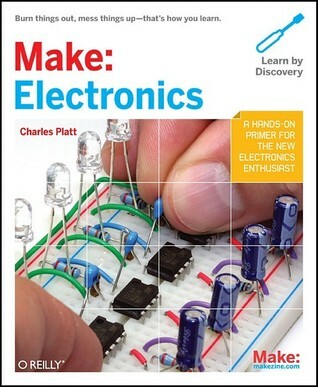 I have already listed ‘Make Electronics’ by Charles Platt. This is the next book to buy if you are already familiar with the first one. This is not exactly a beginners guide but is a good starting point for those who are already familiar with the concepts in electronics. This book is about learning through experimenting, the book contains many projects which you can try at home. This is definitely a fun way of learning things. Greetings. I appreciate the time spent on introducing these books. Are there any other ways to get these? since i live in persia and the country is under sanctions and thus obtaining a credit-card is barely impossible. Thanks once again for your great efforts. i went learn computer science and electronics is it possible???? hay how i buy book ?? Hi..links to buy the books are given in the article. Just click them and buy!! I am a Nigerian from Ekiti State. Pls, these BOOKS are very, very essential to me. How can I get a copy? Im new to electronics and am very interested to fix tv, monitor, radio, deck, etc… and wants to learn electronics, pls help. Thanks for posting these. Grob’s Basic Electronics is probably the best for starting out. While Mims deserves some credit, he was an English major. He never bothered to take the tough courses that us engineers slaved through. A few times I’ve heard liberal arts types crowing about their “critical thinking skills,” I’ve trotted out a mechanics problem or RLC. That had an almost magical effect in quieting them. If you want a good read, try Steve Wozniak’s iWoz. While not a technical how-to book, it is a fascinating story of a real engineer at work, inventing and building Apple computers. Any engineering student should read it to get a sense of the methodology he used, which was superb. Very nice list, I already own 3 of these books, and they are indeed fantastic! @Tanishq – You can learn a lot abt basic electronics. thanks for helping me out, i was searching for the electronic books from which i can have the best knowledge.I will surely buy this books. Thank You for giving a valuable suggestions,Sir I would request also to give some information on documentations which should be prepared while designing,analyzing ,testing etc of circuits . Have you done a review on micro-controller books? Hello, My friends and I have a High Respect for Mr Mims, the author of this book. Regards Ali. how can i make a power amplifier to set up 5v to about 10-12v? I realy need those books… How can I get it in Nigeria..? You got an email? I’ll send them to you. hi guyz,it’s really cul to learn electronics .i hope to learn all the basic concepts. I have a High Respect for Mr Mims and the Books he writesâ€¦Thank You for including Him!!! Am new to the site and really enjoying what I am getting. How can I get the books in Kenya? Great site and contributors! I am in kenya too (Nairobi). May be we can work together on projects. i want those books to learn the electronics.please give the information how can i get those books.I am in nizamabad district.mandal bodhan.thank u for authors. You can buy the books by clicking on the Flipkart link. Place the order and provide your address. I LIKE TO BE AMONG THE BEST ELECTRICAL/ELECTRONICS DESIGN ENGINEERS,HOW CAN YOU HELP ME TO DO THESE PLEASE! Im from Mauritius how can I purchase these books ? How much do they cost? Pls sir, how can i get a copy? From Nigeria. very nice blog and very most books. I want learn electronics. I study electronics in diploma. I want buy a few many books & I hope you suggest to me which book is better for me ? I want to learn electronics. I need your guidance. I WANT TO LEARN ELECTRONIC WITH THE HELP OF YOU.PLEASE HELP ME. I’m from deeppoor family please help me toget these books 100% free.thank you for your help! where can i get the current issue of it ?? pls where can get these electronics text books in Ngeria. Hello Muili Ibrahim, You could search for the books at a nearby book store. If you cannot find it you will have to order the books online by clicking on the links given in this page. Please note that you will have to pay the additional shipping costs as well along with the book price. hi good day do you have a book to how to assemble of transformer ur power supply…..thanks im christopher b.asoy of philippines my facebook. christopher borja asoy. your website is very intresting and useful . Please i am inneed of this books how can one have them from Cameroon thanks. I am really appreciated and want to be a registered member please. hi,i want those books to learn the electronics.please give the information how can i get those books.I am in nizamabad district.mandal bodhan.thank u for authors. You can buy them from Amazon or Flipkart using the links given in article. I have seen all these books and i need them. How may i purchase them? I am from Nigeria, pls. Hi thanks a lot for those four books they are very intresting please how can i have them writing from Cameroon thanks. I need this books,if only two were to be mine.plz tell how we can get them? I need these books plz tell me how ?? I need these books , how can i get them,Pls guide me. @vengadesh – your country plz ? in 1974, we used to read the marvin and Tepper series of electricity and Electronics books. After those, came HenryJacobwitz (I think is the name)- BASIC ELECTRONICS book. It taught us in depth about the concepts. Hope with 4th and fifth gen, these books need to be consulted. Anyhow, accept my appreciation. Also, please refer any PDF books and the books from the JohnGuttenberg Project or any of the e-book formats, available free to all. I feel, free books also are doing much service. I need these books , how can i get them! how i wish we have thase book in the philippines.. we dont have those in the bookstore. i love electronics since grade 4 . all my knowledge came from my own interest . and Transistor Projects in 1972,,which motivated me to complete a Electronic Engineering Technology program.Two people motivated me in Electronics 1) Mr.Mims and 2) My Grade 7 Electronics Teacher. Oh by The way My Teacher suggested that I Take up Some Reading With Mr.Mims I must Say A WISE Suggestion By My Teacher!! 4 Great Books has moved this site from A+ to A+++++. Nice Job Here…Many THANKS!!! @RICK – You are right 🙂 Mims is a great personality. @Roy – Thanks for the comment. Please share with like minded people. Quite a list and it was pretty informative. Mr Mims ha been writing Electronics Books For Years,,,,,He Is a Expert when it comes to ELECTRONICS,,,,I have a High Respect for Mr Mims and the Books he writes…Thank You for including Him!!! GROB- BASIC ELECTRONICS IS SIMPLY THE BEST BOOK FOR START UP Engineers. You Better believe it!!! Wise Choice My FRIEND!!! sir i am daily visitor your website..